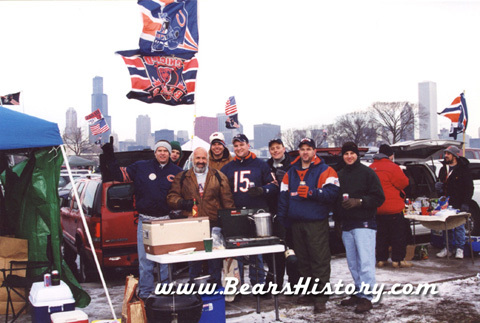 Tailgate party on the lake prior to the playoff loss to Philadelphia. 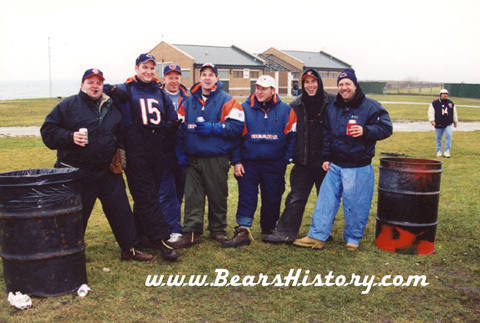 Hanging out by the lake prior to the Green Bay game on Veteran's Day 2001. 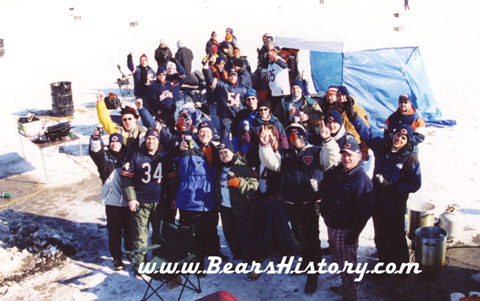 Celebrating the NFC Central crown following the Jacksonville win. 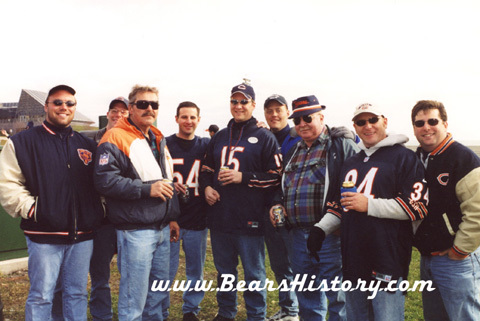 We were visited by Joe Cahn, Commissioner of Tailgating, prior to the Jacksonville game. 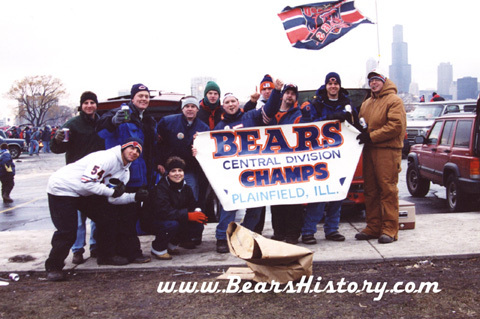 He gave us a hard time for icing our beer in Chicago in December. 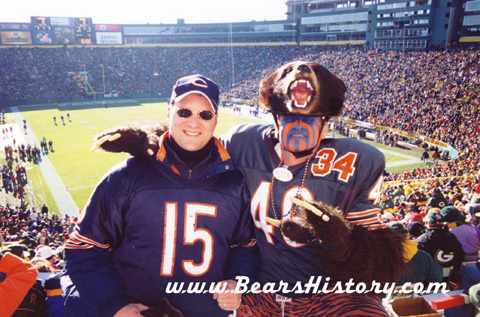 My first visit to Lambeau Field, I went there and met Don "Bearman" Wachter, who got me a line on a ticket. 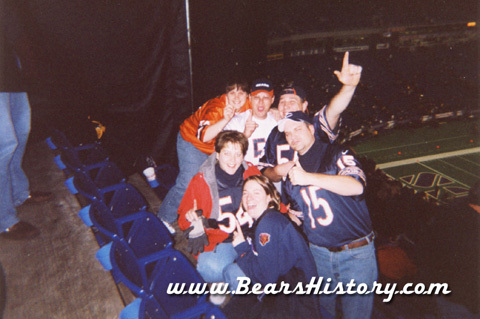 Celebrating with people we didn't even know in the Metrodome during the 2001 win over the Vikings. 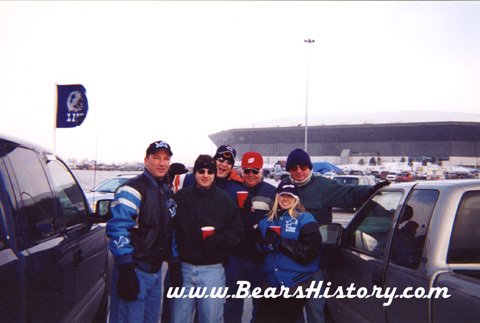 Final road trip of the 2001 season, to Detroit in the last Bears game at the Silverdome. 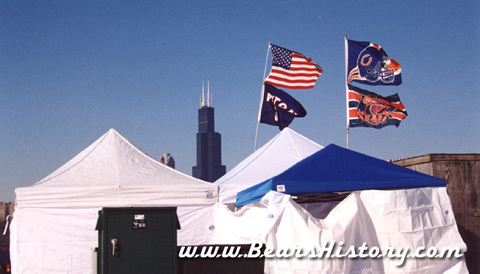 That's how our tent city looked prior to the Philadelphia playoff game. It was virtually a house. 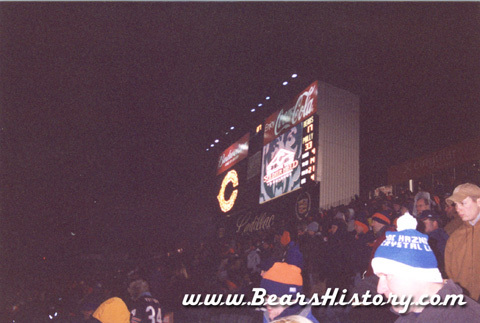 Last view of the old Soldier Field scoreboard just prior to it being torn down. The bladder buddy gang. Look closely.